A bridesmaid looks back to gently shush two excited flower girls seconds before they proceed into the chapel. These two sweet little flower girls were to excited about the wedding they couldn't be quite. 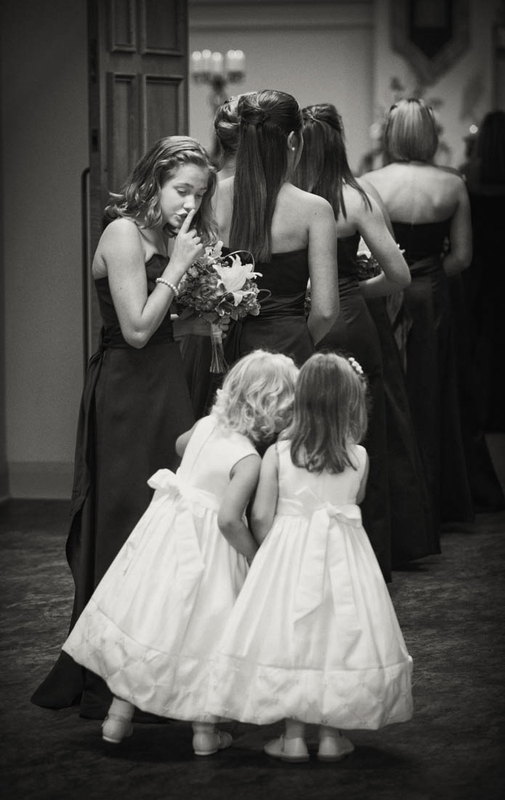 A bridesmaid came and shushed the little girls from giggling before they all walked down the isle in to the ceremony.